Good Morning my friends! 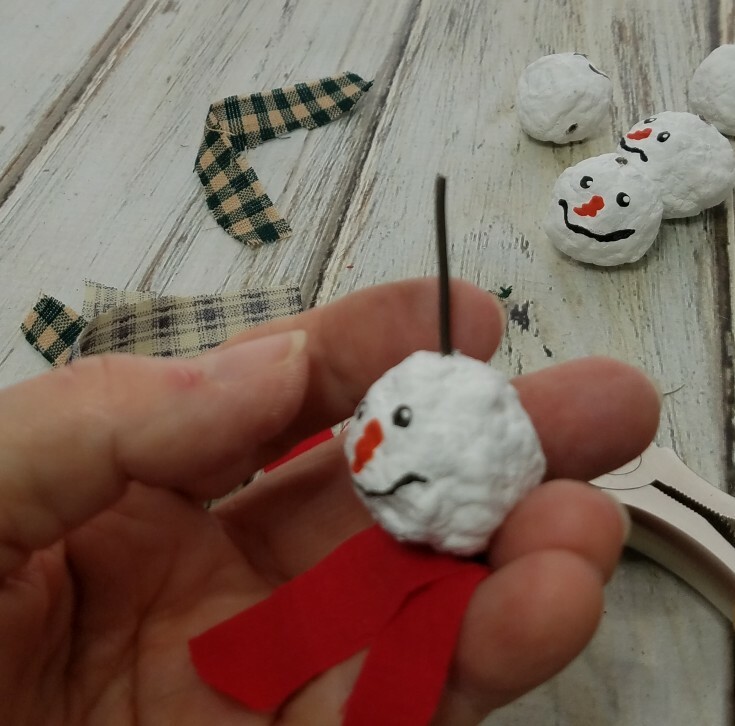 Today I am super-duper excited to be sharing with you my diy snowman garland on wire. Made from paper beads that I had made way back when I first started blogging, and experimenting with different materials for making beads. I think my diy snowman garland on wire turned out soooo cute. 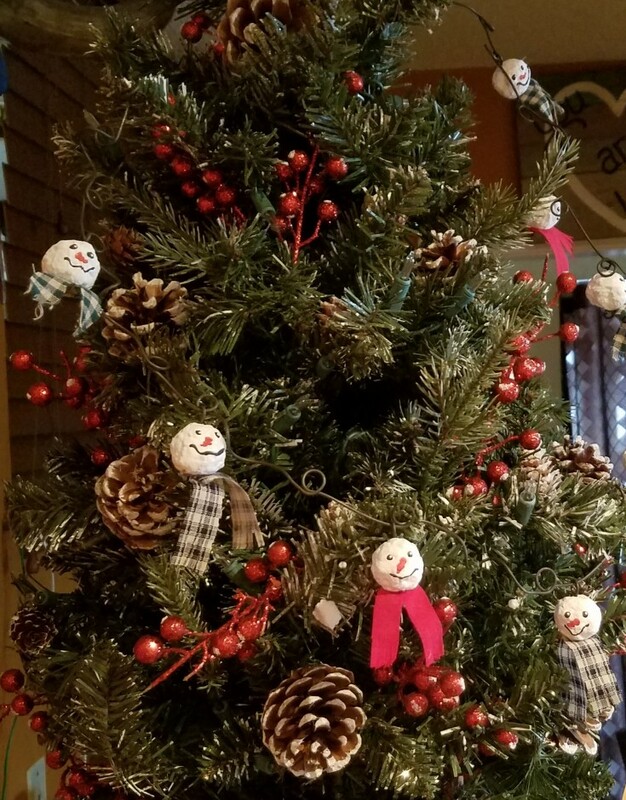 The snowman garland can be hung on the Christmas tree, or a mantle, or just mixed in with a holiday vignette. 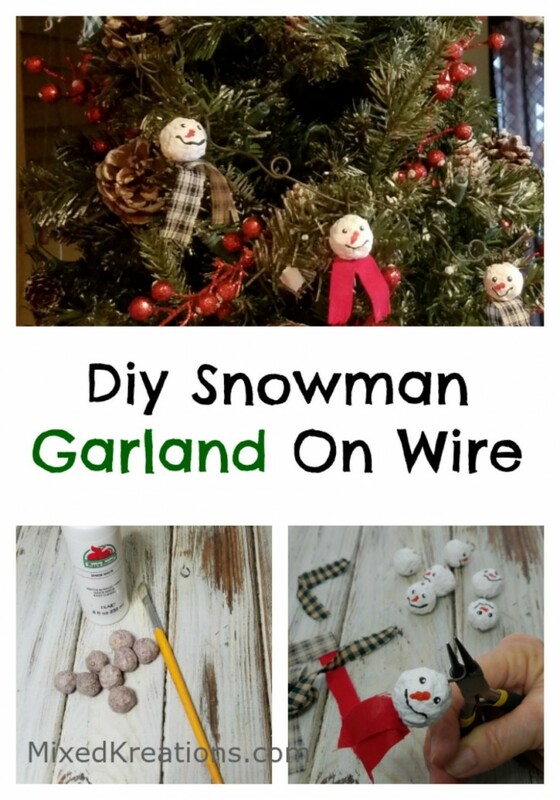 The wire on the snowman garland could be changed out with twine if you don’t want to use wire. 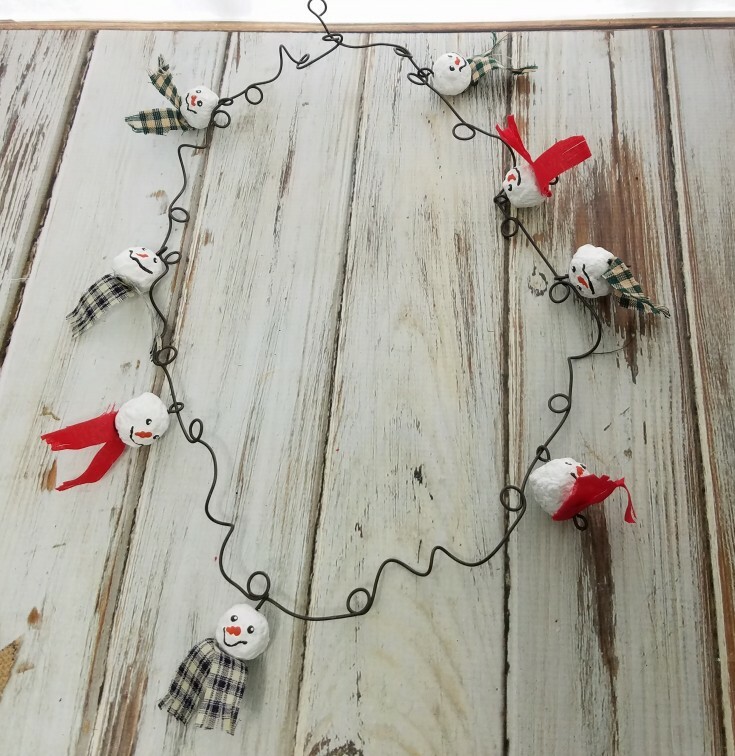 I just love my annealed wire, and using wire for my snowmen garland makes them unique, and a little different. First off, I gathered eight of my handmade paper beads, (to make your own check out my blog post, how to make paper beads). Next, I gave each bead a coat of white paint. Painting one side first then flipping over and painting the other side once dry. Then using my stylus tool, I added the faces to each paper bead snowmen. (If you don’t have a stylus tool a toothpick will work about the same). I next drilled my holes. You could drill the holes first, but I wasn’t sure how I was going to hang them at the time. So, they could dangle down or just string them on the wire. Deciding to let them dangle because I believe that would be the easiest way to keep them all facing the same way. 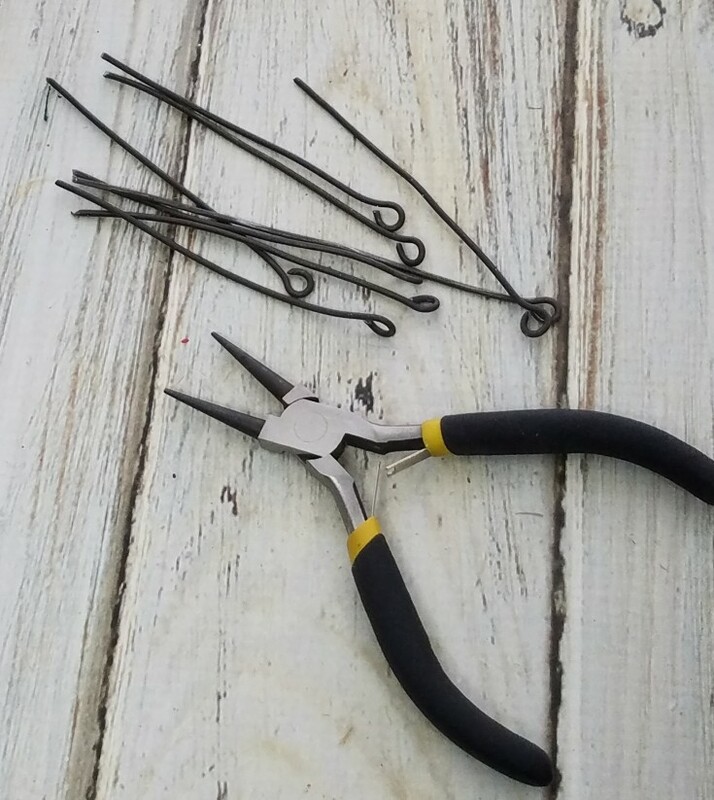 I cut eight pieces of wire about 2-3” long, and formed a small loop at one end with my round nose pliers. 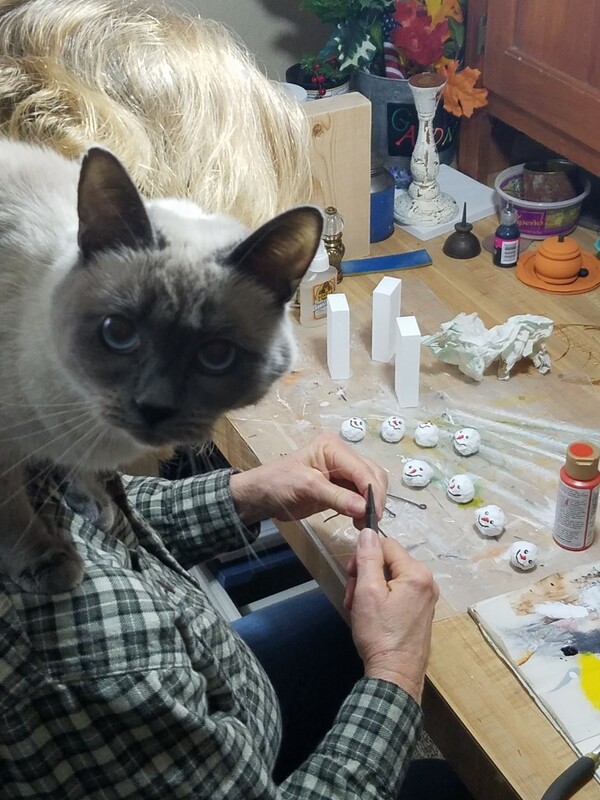 Here’s my little helper Dakota. Next, I cut eight fabric strips approximately 3”x1/2”. Then taking one strip, and folding it to form a V I then used the wire pieces, and pushed the end of the wire up through the center of the fabric where it’s folded. 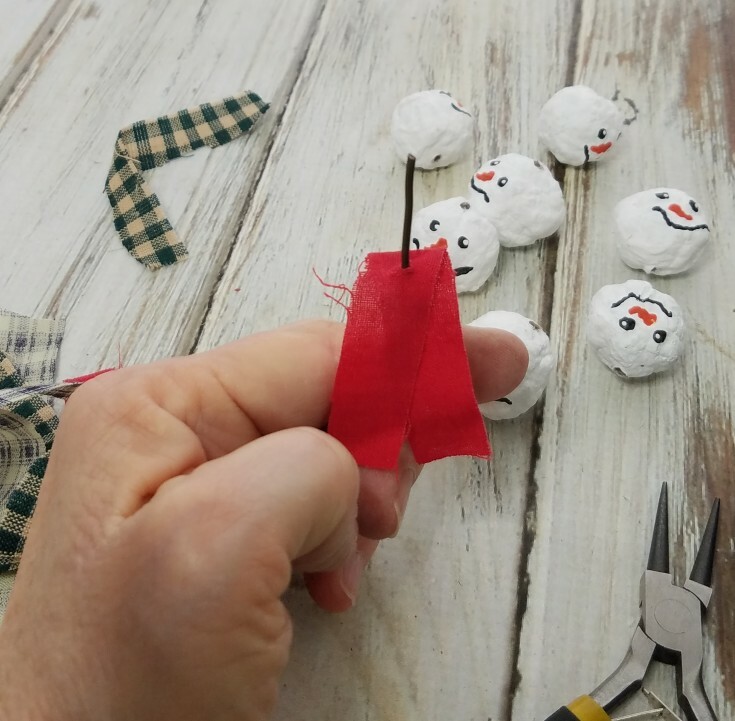 Adding the snowman head, and pulling the wire up to where the fabric is up firmly to the bottom of the snowman’s head. 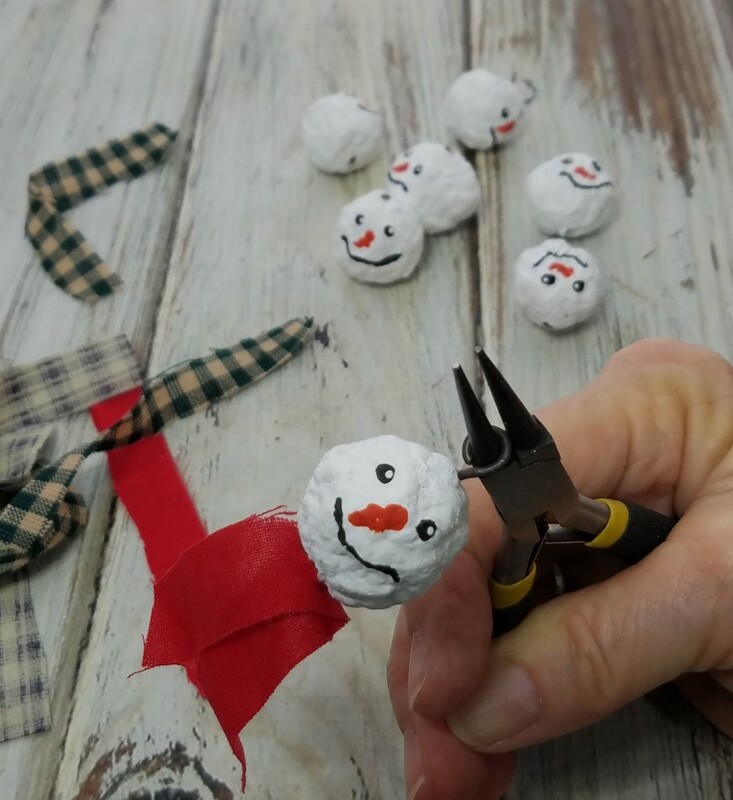 Then using round nose pliers to form a loop at the top of the head of the snowman to hold them together and to hang by. 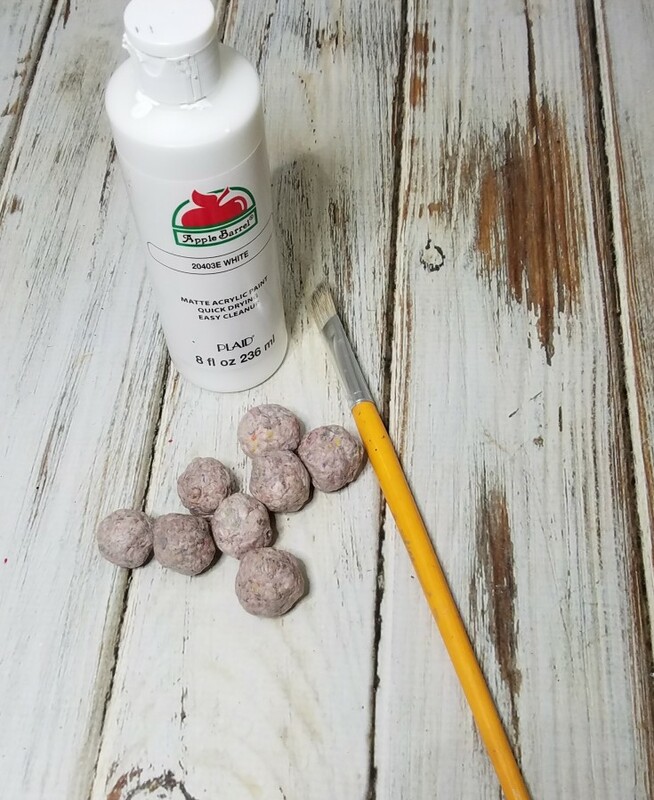 Cut a piece of annealed wire approximately 5-foot-long, using some mandrel pliers, or the end of a paint brush to form a loop at one end. Then add a spiral and another loop a couple inches from the end. Add a paper bead snowman head, then another loop to hold the snowman head in place. 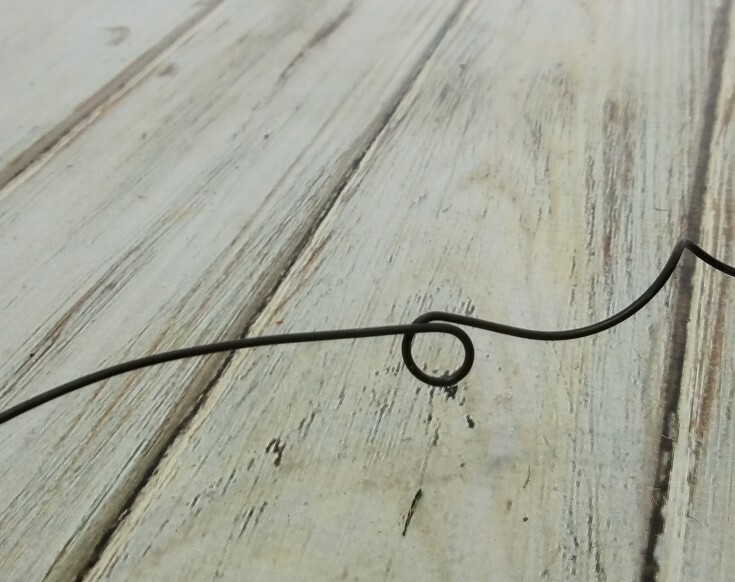 Make a spiral using the end of a paint brush, then another loop. Snowman head, loop, and another spiral. Repeat until you have all the snowmen on the wire. At the opposite end leave a few inches from the last, and make a loop at the end. That is how to make a snowman garland on wire. 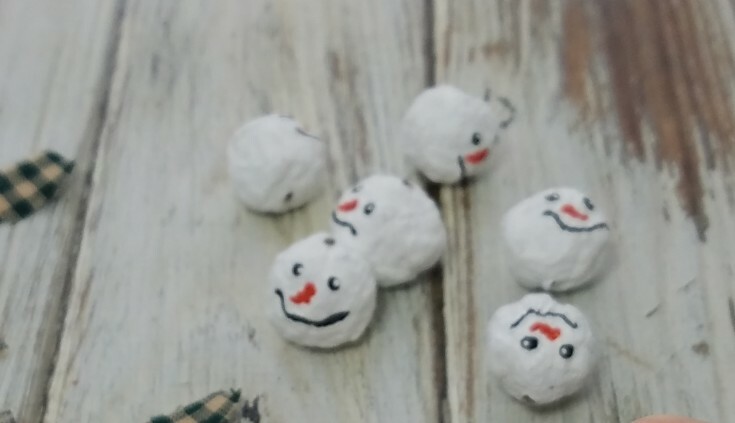 The snowmen may not have perfectly round heads, but I think they turned out adorable. What do you think? Linda, that is adorable (and I went over to see how to make the beads too). Those snowmen on the wire look so cute on the tree. I love them! It’s totally OK that the snowmen heads aren’t uniform. I mean, that’s what they are in real life, right? Thanks Florence, and for checking out the beads as well. Your absolutely right, no two snowmen are alike, or have perfectly round heads. These are really adorable Linda. I love the way you have twisted the wire like that . And I’m also glad to see that you have a trusty helper. Thank you Mary! I seem to have a thing for wire, whenever I can use it I do. 😉 Yes she’s a good helper, as long as I leave her be. She’s funny, wants to be on me, but doesn’t want to be touched unless its her choice. Then she lets you know. Other then that she will bite. So she just sits there. OooooooWeeeee Linda your snowmen on the garland are beyond adorable and Dakota, does he/she always sit on your shoulder like that? Linda, I absolutely love this! It’s so adorable and perfect for the holidays. You could use it on the Christmas tree and then hang it on a wreath or a mantle for the rest of the winter. So unique and eye catching!!! Thank Nikki! I didn’t think of putting it on a wreath, that would be cute! The Garland is so cute! I have to do this for next year. Thanks Renee! 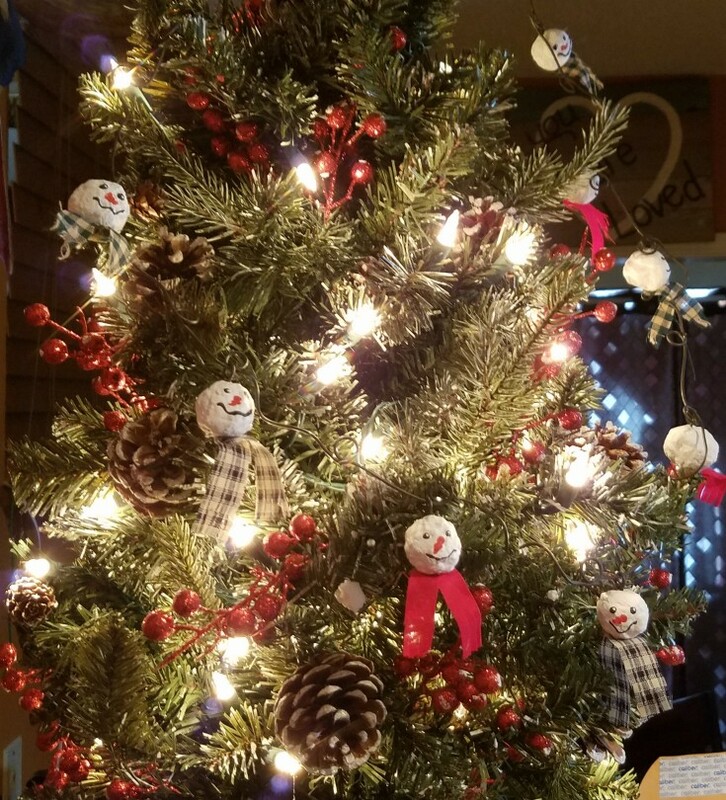 It is a fun project and so cute around the Christmas tree.